I am back from my summer holidays and ready to get back and get some work done. And the first article that I want to get out there right away is about my favorite room in the house, the kitchen. Also, I can honestly say that I will be talking about an entire kitchen in this article. Not just one part of it. 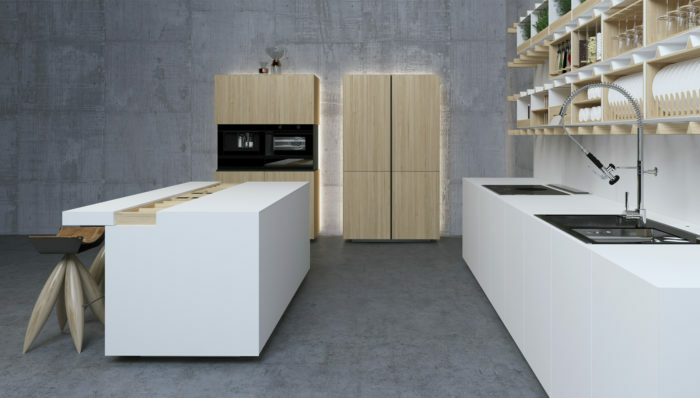 Because today’s article is about a great kitchen concept, which I have discovered on the Yanko Design website. It was, we could say, love at first sight. So I decided to stalk this kitchen a bit before getting too excited about it. Too late, because I was already excited. But I did manage to trace its origins to the talented folks at the Svoya Studio. And first of all, before I talk any further about this beautiful idea, I want to encourage you to check out their website. Because they have plenty of interesting and unique ideas, which an admirer of design will appreciate. 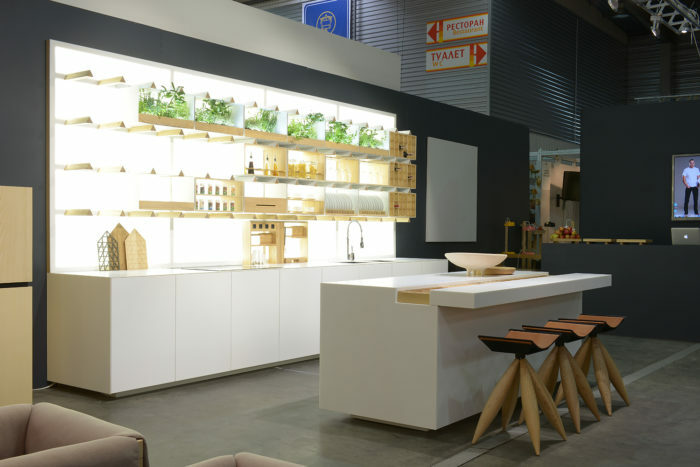 They also feature a product or furniture design, not just entire concepts. But I am very glad to have been introduced to them through this. And now let’s see why. First of all, I would like to state that I love everything about this kitchen. From its overall picture and concept to the small details, which you will be able to see in the photos. But I don’t want to bore you to death about how I like every single element of it. So I will speak mostly about what I consider to be unique and a definite selling point on this design. I may also mention what other small details have caught my eyes. Because, as you may know, I am all about the details. But let’s just see how this article goes. 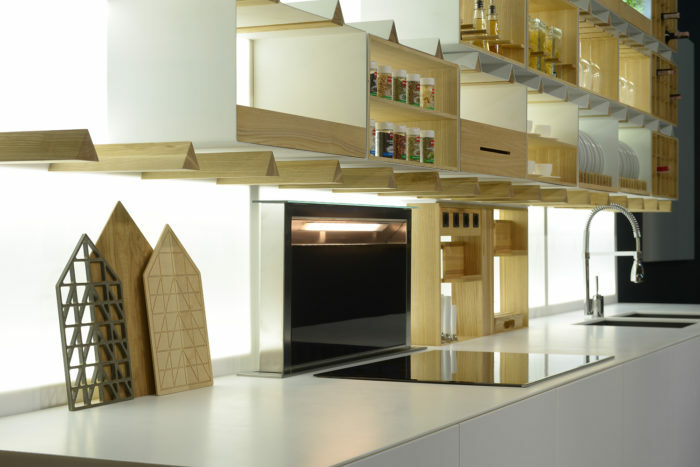 So, the main and most unique feature of this kitchen is represented by its shelf system. I don’t know the exact design terms, so I beg that you forgive me if my description of it all will sound a bit of silly. Please feel free to correct me, or maybe just look at the pictures and you will maybe get what I mean. But let’s start already. As I was saying, the wall shelves have a design that I particularly like. Mainly, because it is very customizable. But also because it looks very cool. 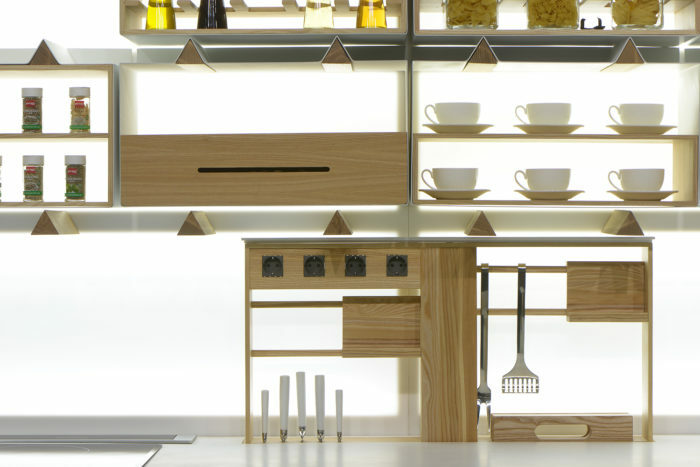 And this shelf system is also the reason why we can easily call this a modular kitchen. Basically, every single shelf is an individual unit. And these are both suspended on and supported by an entire wooden structure, which is the back wall. Being able to easily take a shelf out or putting one in is the best part of the design. Because this allows for a very wide range of customization, depending on each and every person’s preferences. But they did not stop there. 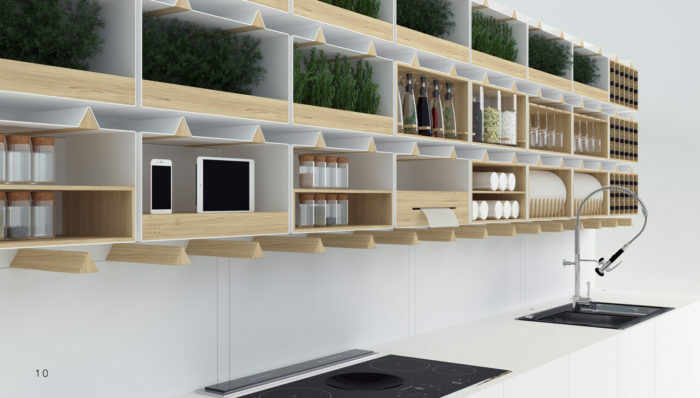 The fact that you can arrange the shelves or put in as many or as little as you want was not enough. 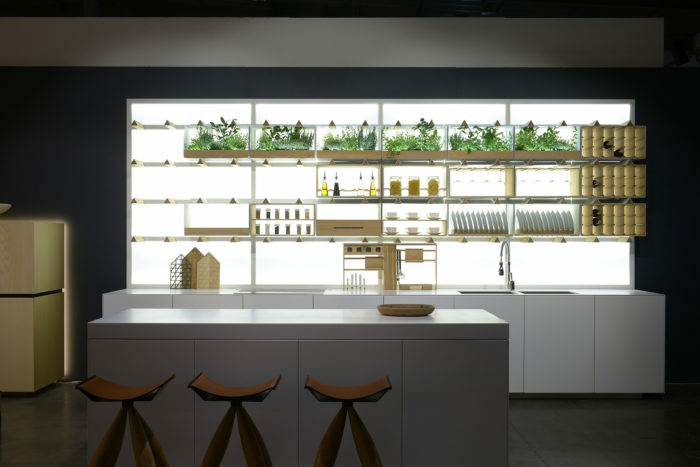 The wonderful people at Svoya Studio went another level ahead and even made personalized shelves to go in your new kitchen. What can be personalized about a shelf, you ask? Just take a look below. 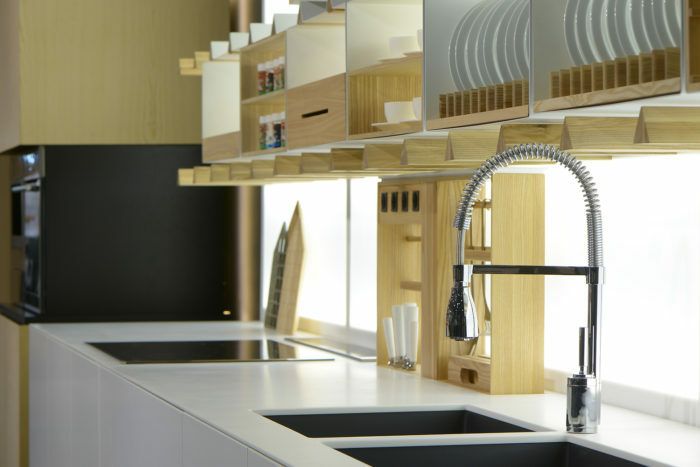 In the picture below you will see several of the shelf concepts that will help you make this modular kitchen more of your own. And they are not few. 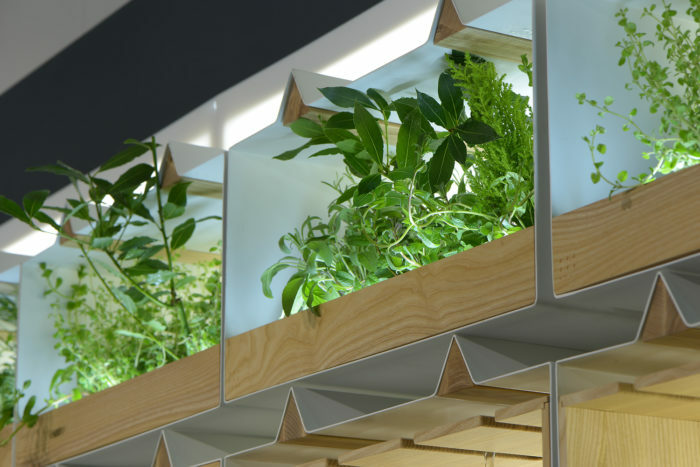 From a shelf where you can grow your own kitchen herbs; to one that can perfectly store your spice jars; or maybe a shelf where you can keep your tablet or phone in order to follow a recipe. How about one where you can perfectly store your collection of wine? Or even a shelf where you can store your plates or hang your wine glass. The choice is yours and you will have to make plenty of them if you think this kitchen is for you. But don’t worry if you have no ideas yet of what to choose for your kitchen. I can understand that perfectly. Because I can take up to 15 minutes to decide on what to make for dinner or what to eat. Just imagine how long it would take me to pick a perfect kitchen out of so many options. But I am not the only one who has thought about this. The designers have also thought about people like us and they decided to give us a hand. If you check out their website, you can see that they already have 4 set up kitchens for different kind of people, personalities, and preferences. You have a set up with plenty of room to grow veggies and spices if you want a more healthy diet. One that has plenty of shelves for you and your loved one to keep your wine collection and wine glasses, if you are fans. There is also a gorgeous configuration, that includes everything a home cook will appreciate and need in order to keep up with his or her passion. And this last one even includes the smallest of accessories that a chef needs. 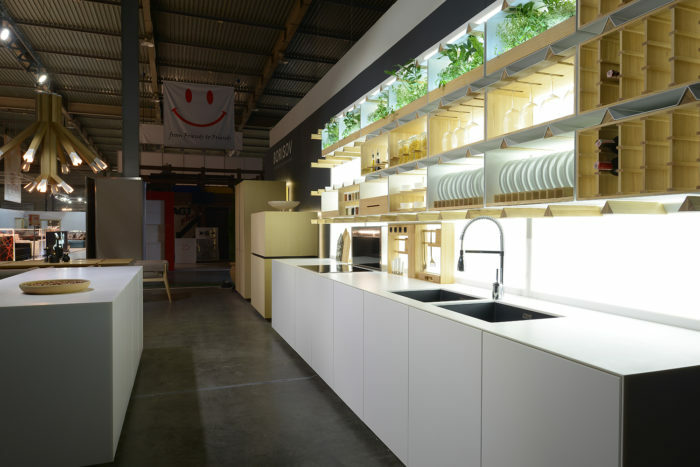 And this is what I would call a perfect modular kitchen. 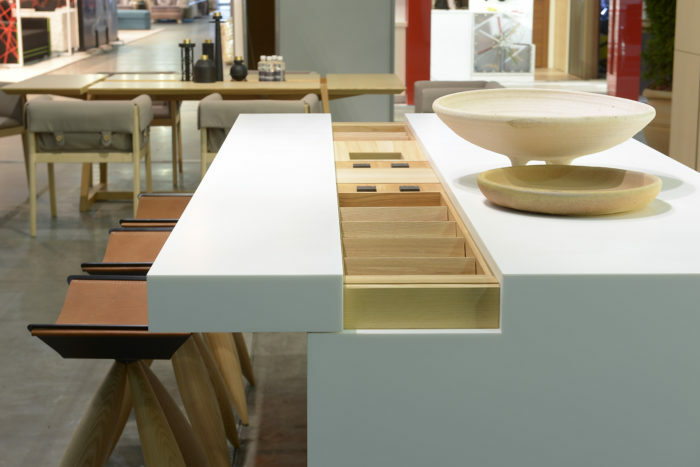 One that can be configured to fit not just space in your home, but the spirit of your home.